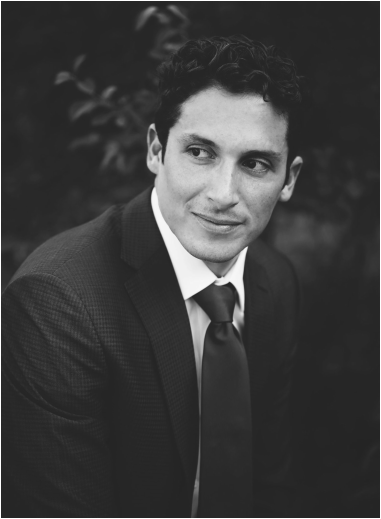 Tenor Aaron Halevy began his study of opera in 2009, when he participated in the the Laboratori di Ricerca e di Perfetzionamento Musicale, in the Tuscan mountains of Italy, where he studied Bel Canto technique with renowned soprano, Antonella Banaudi. In spring of 2013 he left a career in politics to sing Pinkerton in his professional debut in Bel Cantanti's production of Madama Butterfly. This was followed by his role as Eisenstein in Die Fledermaus; Tanzenmeister/Scaramuccio in Singer's Theater of Washington's production of Ariadne Auf Naxos; Beppe in Maryland Lyric Opera's production of Pagliacci; as well as the roles of Aegisth/Junger Deiner in Manhattan Opera Studio's production of Elektra; Don Ottavio with DC's In Series' Don Giovanni; and Benedict in Shakespeare Opera Theater's production of the play Much Ado About Nothing, (with scenes as the same character from Berlioz's opera, Béatrice et Bénédict). Aaron's experience also includes concert performances with Opera On Tap in DC and Denver, and with Opera Singer's Initiative at the Lincoln Center and other greater Manhattan venues. In 2016 Aaron moved to New York city to further his goals in performance and is ecstatic to have been so quickly integrated into performance opportunities around the city, including as Edmondo/Lamplighter in Regina Opera's Production of Manon Lescaut. Aaron stands committed to his love for the human voice, and the connective experience of performing rich music for a live audience.